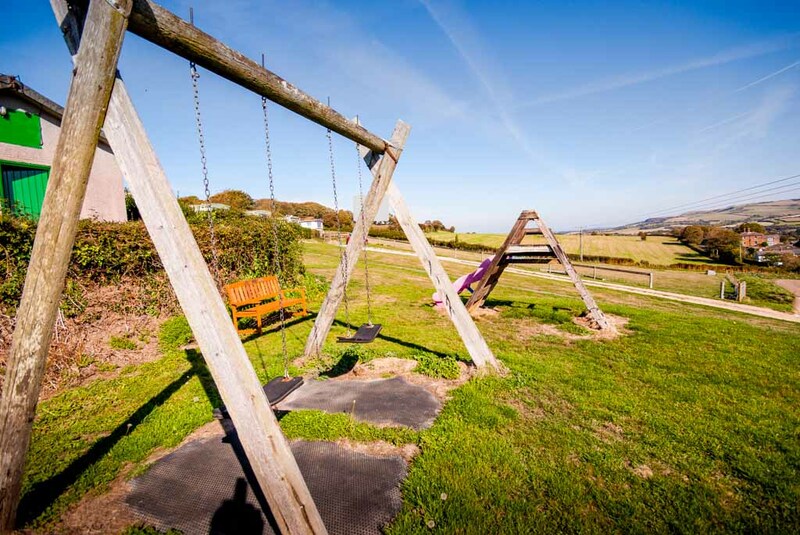 Meadowview is a well established site with many clients returning year after year. It is still family run and every effort is made to help you enjoy your stay, with the owners offering a personal but not obtrusive service. 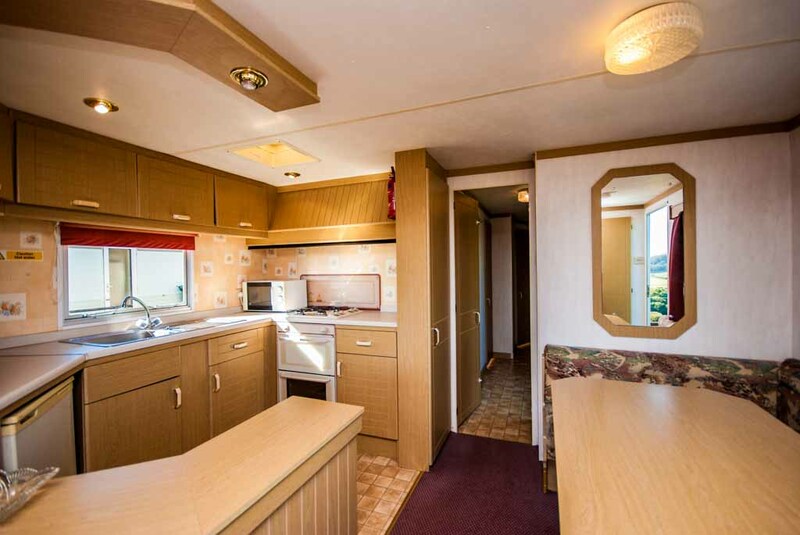 The site has ample parking close to the caravans and a spacious grassed area in front. There is a small outdoor playground set to one side, suitable for young children. The site also has a traditional table tennis room for family use. Facilities also include a good sized utility room with large sink, washing machine and iron/ironing board. There are seven caravans at Meadowview. 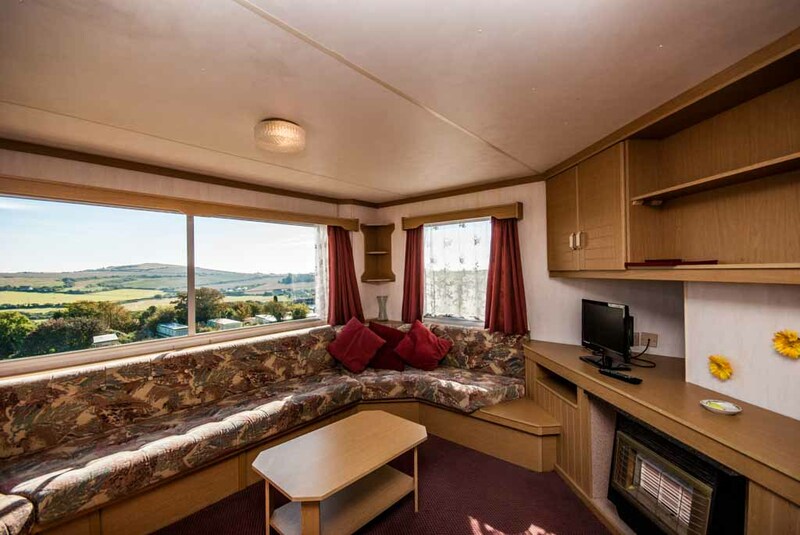 Five of the caravans have three bedrooms and two caravans have two bedrooms. 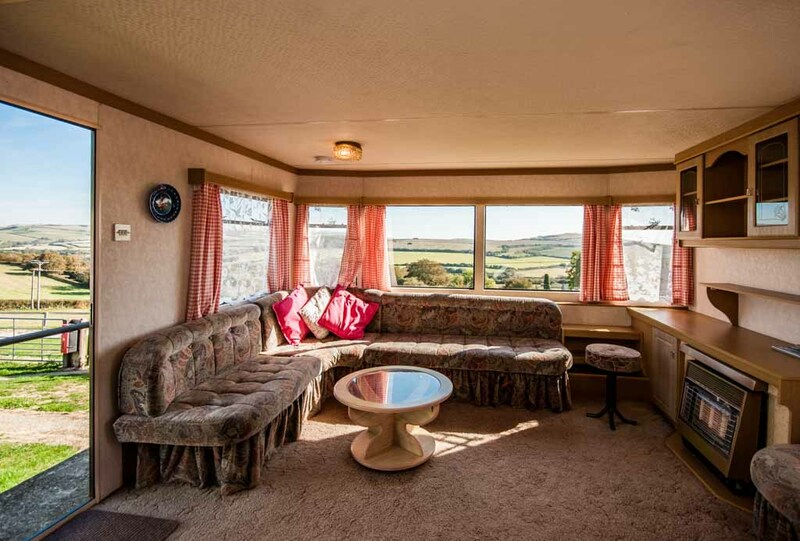 All the caravans have panoramic views. 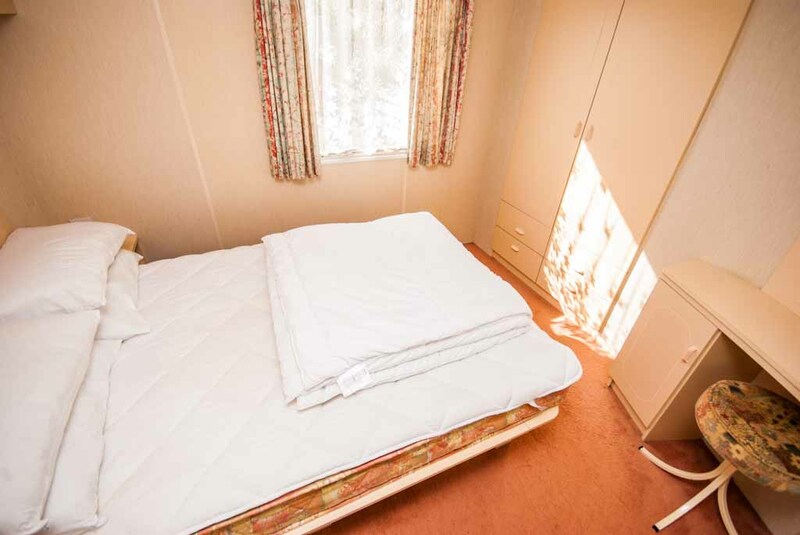 The double bedrooms are spacious and well decorated and offer plenty of wardrobe space. 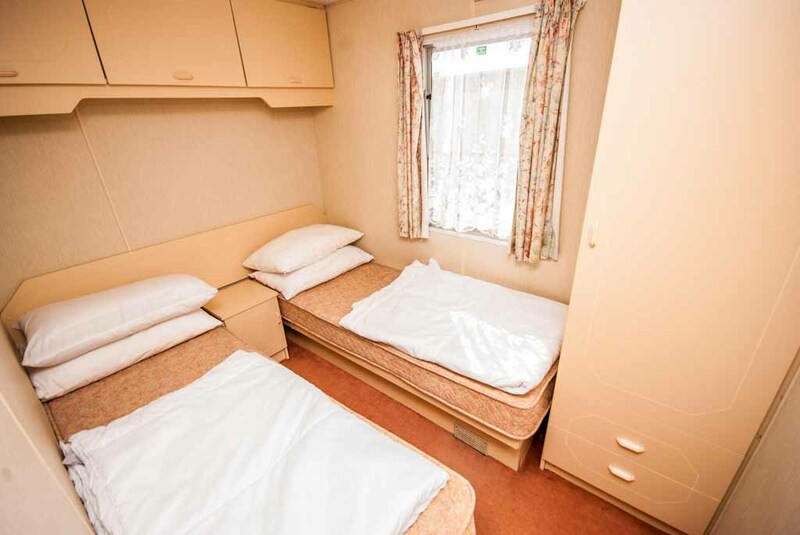 The twin bedrooms are well laid out to ensure maximum comfort. 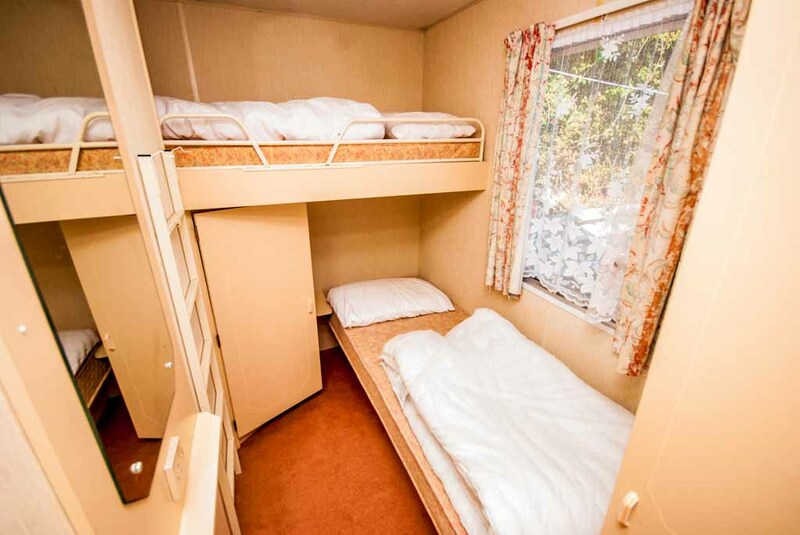 All twin rooms also have good storage space. 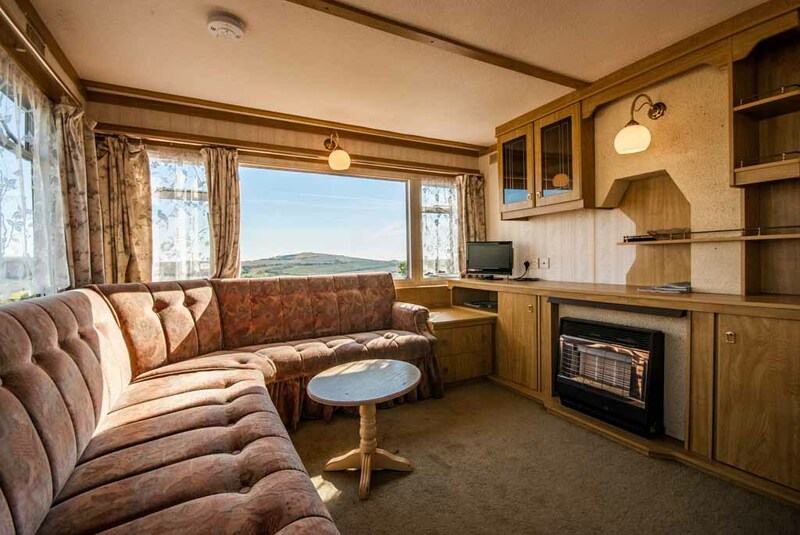 The spacious lounge has an array of comfortable seating, plentiful storage space, a calor gas fire and a television, and offers views over the surounding countryside. The lounge also offers a separate dining area. 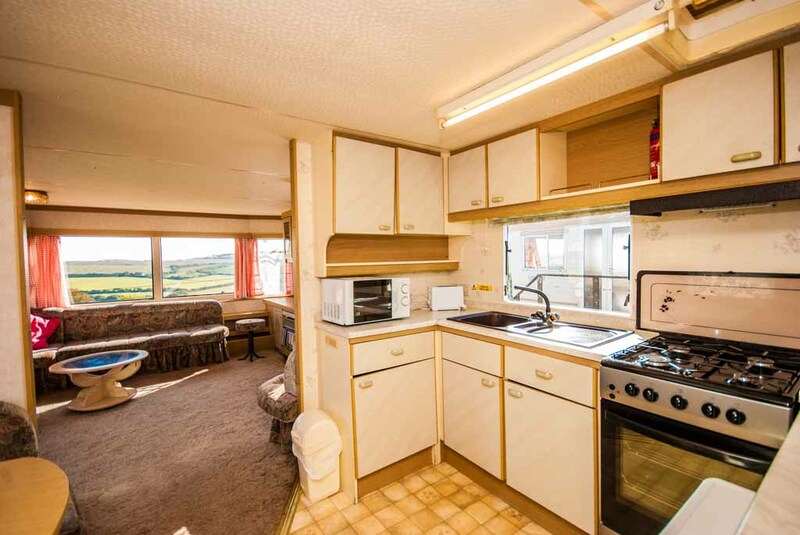 Each kitchen includes gas cooker with oven and comes equipped with fridge, toaster, microwave, kettle and a full range of crockery and cutlery. 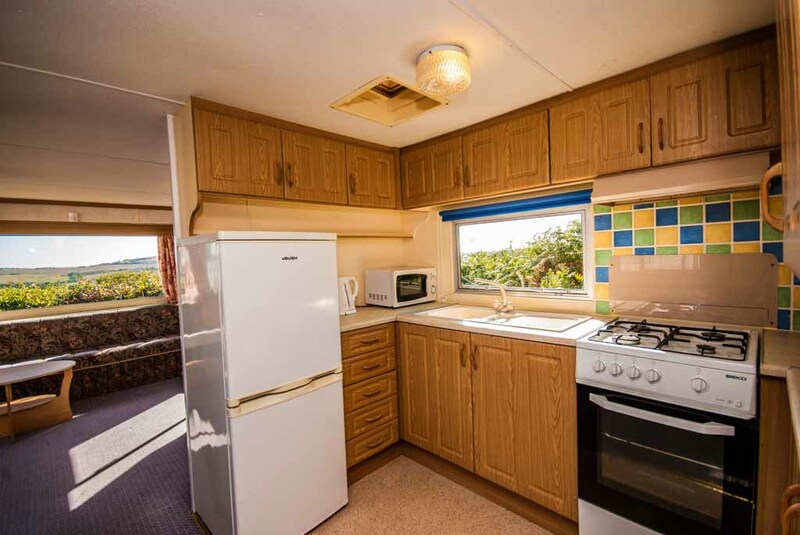 Every caravan also has a toilet and shower room. The caravans are all individual so layout and decoration in each may differ. 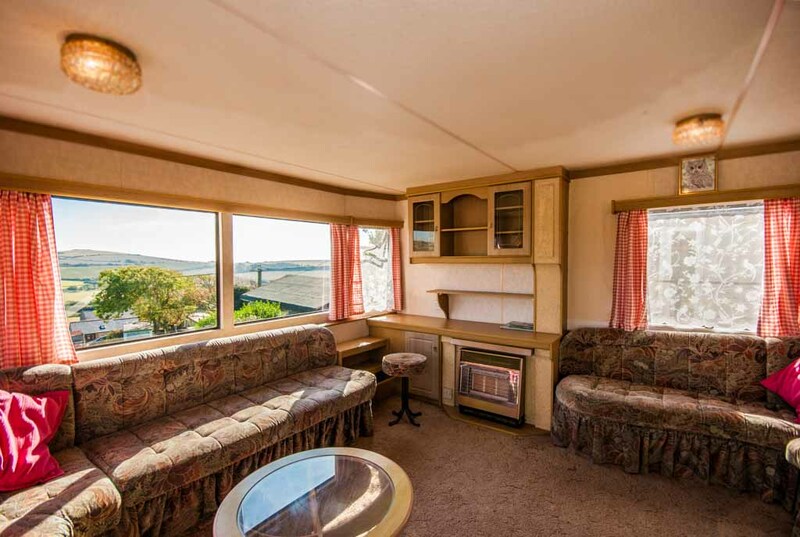 These photos diplay the layout of one caravan only. 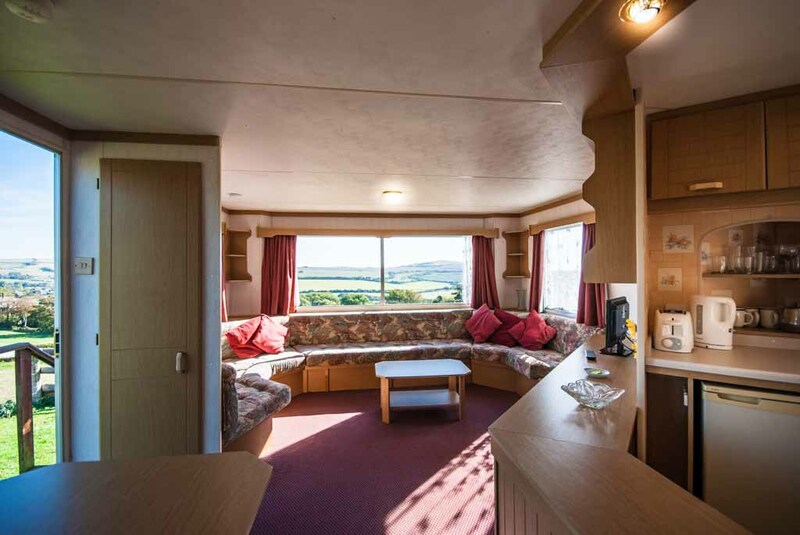 Care is taken however to ensure every caravan is in good order throughout and every comfort provided for. If you have any questions or any special requests, then please do not hesitate to ask. Wheelchair ramp accessability is available.